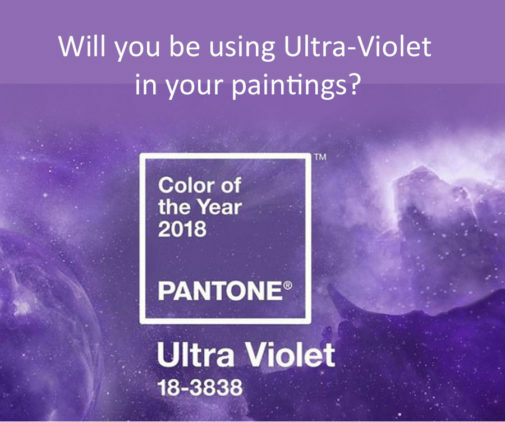 Every year I look forward to the Pantone Color Institute’s color of the year announcement. This declaration has taken place since 2000, and results from secret meetings with various nations’ color standard groups. After two days in a European capital and many presentations and discussions, they choose a color for the following year. Here is a swatch of the pantone color of the year with its corresponding number. Art fairs are a prime venue to do just that. For a moment, put yourself in the shoes – or sandals – of someone who has set out to experience real and live art on a warm sunny summer day. They have made special plans to spend a few hours seeing what the current art scene has to offer and to mix with creative people. They may be looking for a painting/photograph to fill a blank space in their homes or wanting to buy a gift for someone. Perhaps they want to be pleasantly surprised and decide, “I need to buy that!” or they are a tourist want to purchase a piece of jewelry or pottery to remember their visit. What are some other reasons why people attend art fairs? As one who has been an art fair artist, I know it is not easy to think of the fair attendee after we have spent countless hours – blood, sweat and tears – preparing our art and setting up our booths. Sometimes we have battled traffic, parking hassles, the elements and other unexpected events to achieve just getting everything up and running! Do we have the energy to give ourselves the directive to think beyond ourselves? I know I often felt in need of support and compassion after the booth was ready. I was not able to see beyond my own needs. A wake up call from a friend who got my rear-end in gear. He had me remind myself why I was an artist exhibiting at this art fair. I needed to do some serious self-coaching! So off went the tired energy that I replaced with invigoration. Out went the doubts — “Will I sell anything today?” — and in went the abundance affirmations. I tossed out those thoughts of “These people just don’t get it,” and in came the positive thoughts of knowing I will have some marvelous conversations about my art along with visualizaions of my paintings finding new homes. I learned that I needed a moment of transition to re-wind my brain and get ready to meet the public. It made me realize that we expect too much of ourselves to move abruptly from one mode – creating a booth space that takes physical and psychic energy – to one of selling and meeting new people, which also takes emotional and physical energy. How do we remind ourselves that the art fair season is a rare opportunity to meet a huge cross section of the public? What better place is there to engage with art appreciators and potential buyers? Would you buy from this artist seen in this photo? (I saw this stance way too often at the Cherry Creek Art Fair in Denver this past weekend.) Does he have his sales hat on? Has he forgotten why he is exhibiting at this art fair? Does he want to learn how people react to his work? Perhaps if he had taken a moment to make the transition, he would be more alert to engaging with art fair attendees.